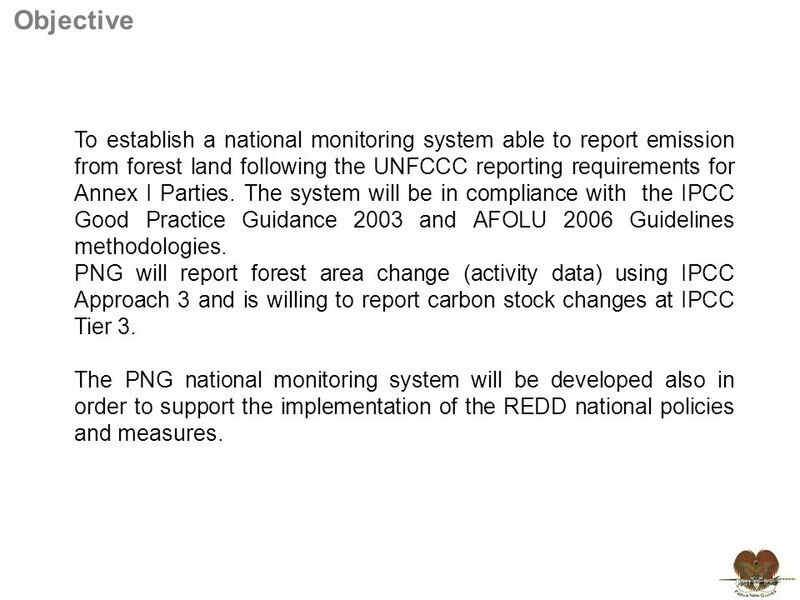 Towards REDD: the Papua New Guinea National System to monitor and report GHGs emission from forest land UN-REDD II Policy Board Meeting Switzerland 14-15. 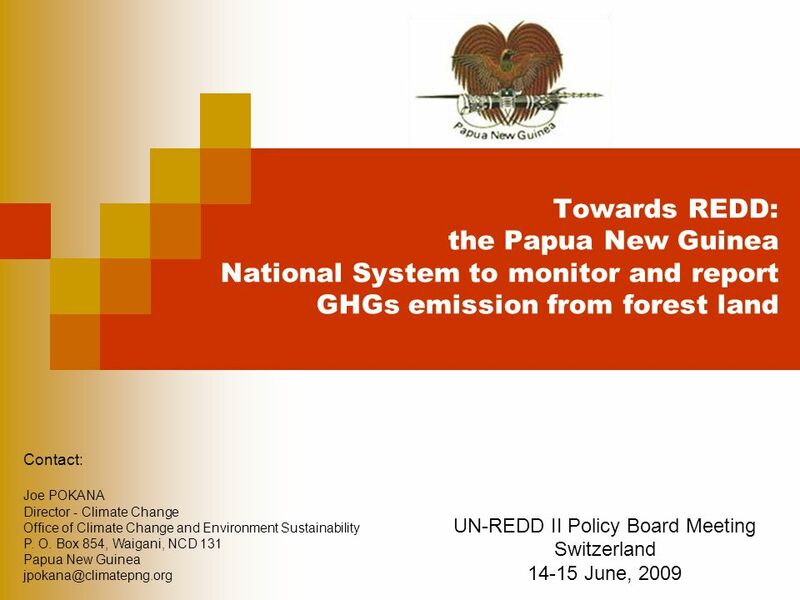 Download ppt "Towards REDD: the Papua New Guinea National System to monitor and report GHGs emission from forest land UN-REDD II Policy Board Meeting Switzerland 14-15." INDONESIA: UN-REDD PROGRESS Montreaux, Switzerland 15 June 2009. The UN-REDD Programme Measurement, Assessment, Reporting and Verification (MARV) Issues and Options for REDD 10 March 2009 Peter Holmgren. The UN-REDD Programme 1 st Policy Board Meeting 9-10 March 2009. European Commission: Environment Directorate: Climate strategy, international negotiation and monitoring of EU action EU reporting on Sources and Sinks. 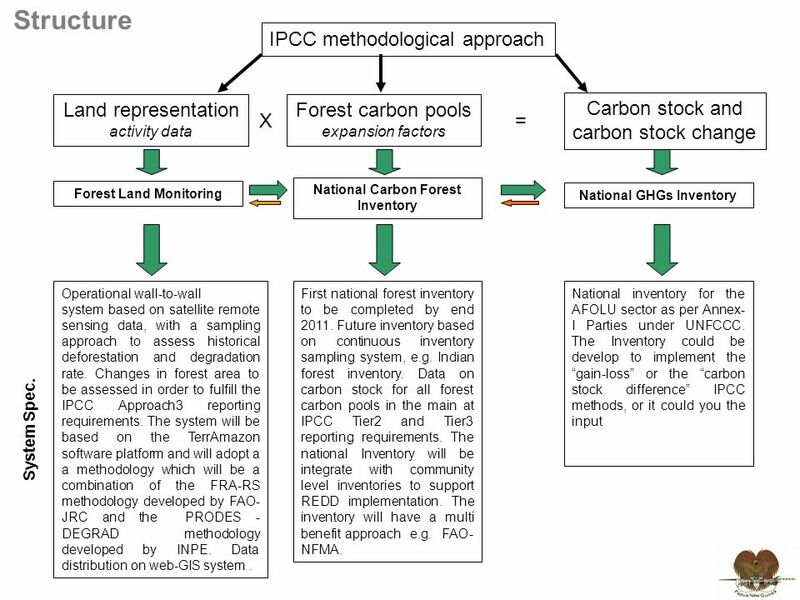 IPCC Good Practices Guidance and the electronic reporting of GHG inventory tables: useful tools for improving the quality of national GHG inventories of. PRESENTATION OUTLINE Introduction Climate change initiatives Capacity Challenges. Focal Area and Cross Cutting Strategies – Biodiversity and Sustainable Forest Management GEF Expanded Constituency Workshop March 22 – 24, 2011 Kyiv, Ukraine. REDD PLUS -- What is that?. 1. REDD PLUS – in brief Background: Deforestation has become a problem that the world cannot ignore.  Deforestation results. Session 12: Overview of road map - proposed actions Federal Democratic Republic of Ethiopia Ministry of Agriculture Federal Democratic Republic of Ethiopia. Presented at the IISD and ASB Regional Workshop Hanoi, 19 th May 2011. Basic Considerations  outlines the process by which the Government of Kenya will develop its national strategy for participating in an evolving international. 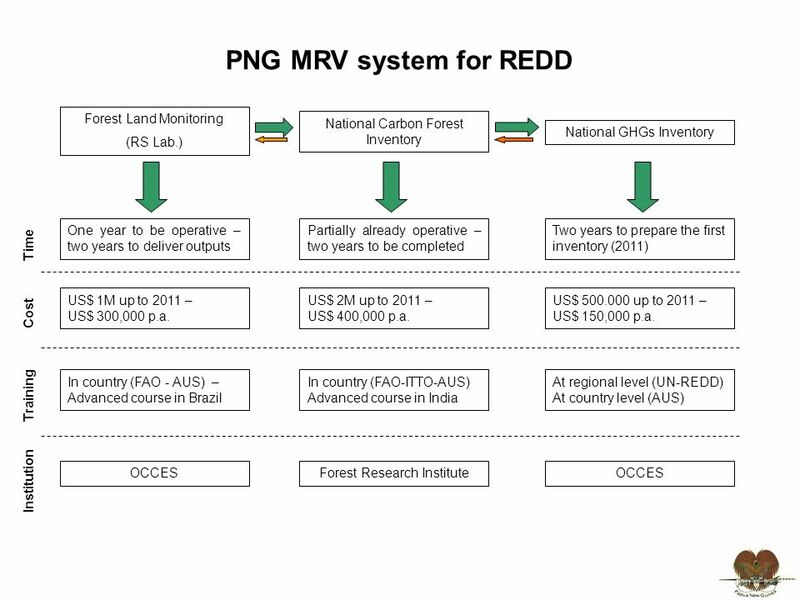 MRV and forest monitoring for REDD+ in Bangladesh Key-issues in forest monitoring and MRV for REDD+ (based on principles and provisions of Article 4 of. Carbon Benefits Project: Measurement of Carbon in Woody Biomass Mike Smalligan, Research Forester Global Observatory for Ecosystem Services Department. 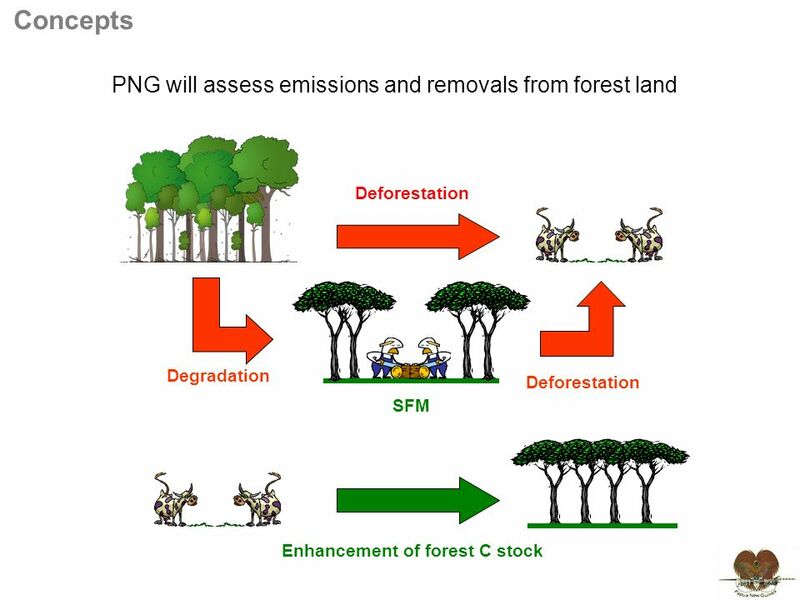 Module 2.5 Estimation of carbon emissions from deforestation and forest degradation REDD+ training materials by GOFC-GOLD, Wageningen University, World. Module 3.2 Data and guidance on developing REDD+ reference levels REDD+ training materials by GOFC-GOLD, Wageningen University, World Bank FCPF 1 Module. UN REDD a collaborative programme of UN agencies on Reducing Emissions from Deforestation and Forest Degradation to support developing countries FAO-UNDP-UNEP.